377 Commonwealth is located on the north side of Commonwealth, between Massachusetts Avenue and Charlesgate East, with 375 Commonwealth to the east and 379 Commonwealth to the west. 377 Commonwealth was designed and built by O. H. Drisko and Son, architects and builders, one of two contiguous houses (377-379 Commonwealth) built for building contractor and real estate dealer Albion Knowlton. He is shown as the owner on both of the original building permit applications, dated April 2, 1889, and on the final building inspection reports, dated October 25, 1889. 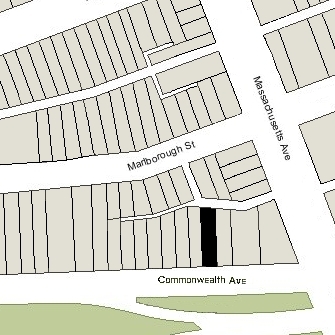 Click here for an index to the deeds for 377 Commonwealth, and click here for further information on the land west of Massachusetts Avenue between the south side of Beacon and the north side of Commonwealth. 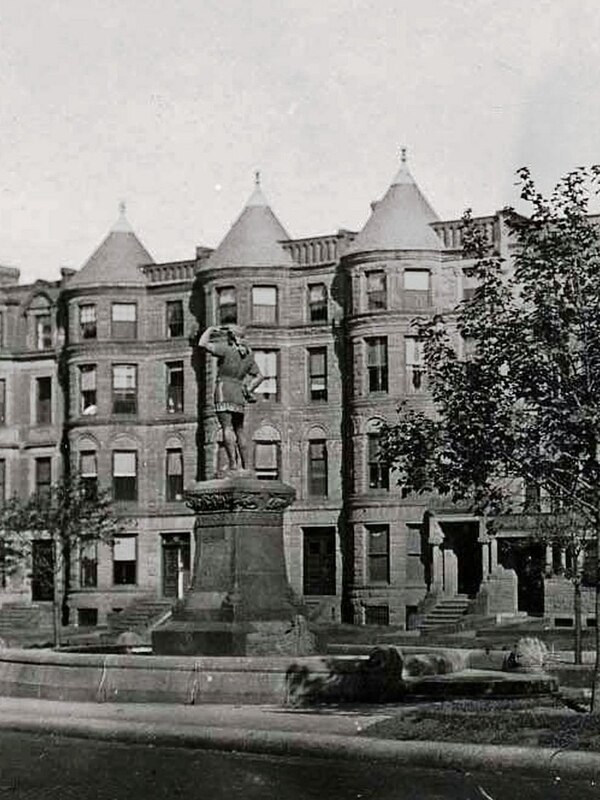 By the 1889-1890 winter season, Albion and Mary (Goldsmith) Knowlton had made 377 Commonwealth their home. They previously had lived at 215 West Chester Park. 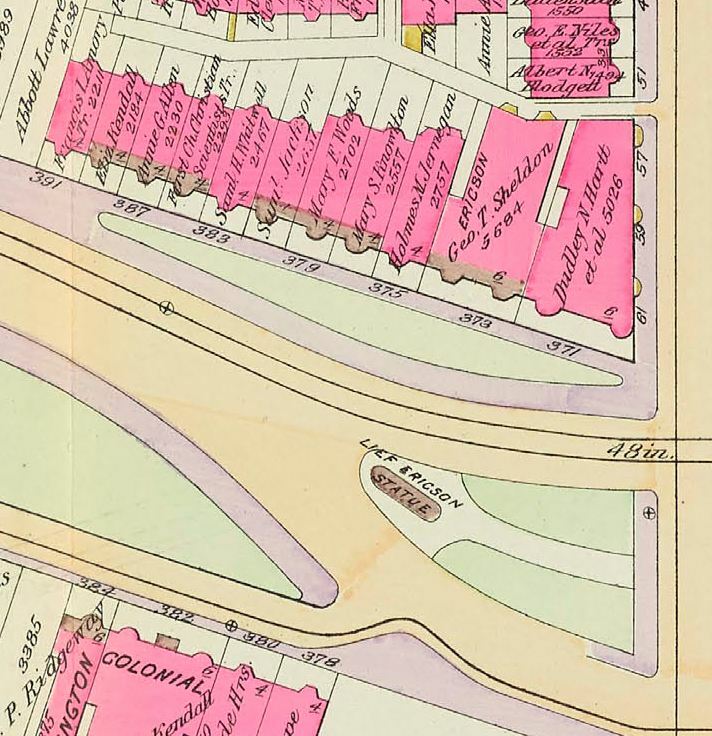 In December of 1891, Mary Knowlton acquired the lot at 375 Commonwealth and then immediately resold it to Dr. Holmes Jernegan, adding a stipulation that only a single family dwelling could be built on land and limiting the height and depth of any such building. In June of 1892, as Dr. Jernegan’s house was nearing completion, they modified the agreement to further limit the depth of the new house at the boundary line with 377 Commonwealth to preserve the light and air for the Knowltons’ home. Albion Knowlton died in May of 1907. After his death, Mary Knowlton continued to live at 377 Commonwealth with their only son, Walter Munroe Knowlton. He died in March of 1919. During the 1919-1920 winter season, Mary Knowlton was joined at 377 Commonwealth by her first cousin, Abbie H. (Henderson) Goodrich, the widow of Wallace Goodrich (Abbie Goodrich’s mother, Elizabeth (Roundy) Henderson, was the sister of Mary Knowlton’s mother, Mary Jane (Roundy) Goldsmith). 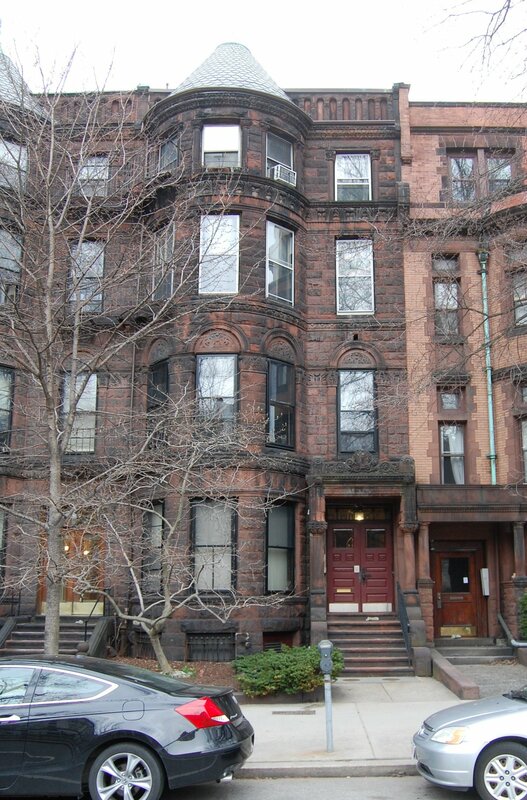 Mary Knowlton died in October of 1920; Abbie Goodrich continued to live at 377 Commonwealth during the 1920-1921 winter season, but moved thereafter to Brookline. On February 14, 1921, 377 Commonwealth was purchased from Mary Knowlton’s estate by Marion (Luse) Chenery, the wife of Dr. William Elisha Chenery. They previously had lived at 222 Huntington. William Chenery was a physician and professor of laryngology at Tufts Medical School. He maintained his medical office at 377 Commonwealth. They continued to live at 377 Commonwealth until about 1946, but moved thereafter. On August 11, 1948, 377 Commonwealth was acquired from Marion Chenery by Emerson College. 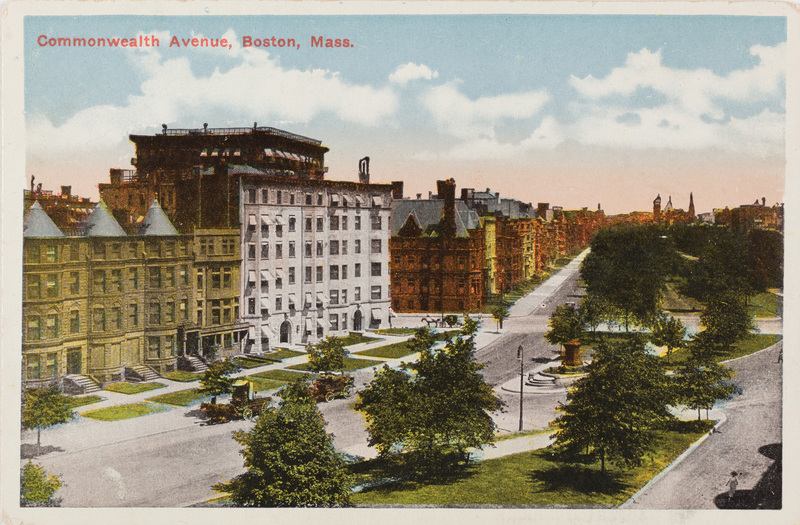 377 Commonwealth became the home of Emerson’s president, Cordes Boylston Green, and his wife, Wynne (Byard) Taylor Green. They previously had lived in Sudbury. They continued to live at 377 Commonwealth until mid-1949, when he accepted a position as president of the University of the South in Sewanee, Tennessee. By the fall of 1949, 377 Commonwealth was the home of Godfrey Dewey, the new acting president of Emerson College, and his wife, Helen Marjorie (Kinne) Dewey. The son of Melvil Dewey, inventor of the Dewey Decimal System for cataloging libraries, Godfrey Dewey was an expert on phonetics, inventor of a shorthand system, and advocate for simplifying the spelling of English words. An expert skier, He also was the prime mover for bringing the 1932 Winter Olympics to Lake Placid, New York. Godfrey Dewey served as president of Emerson College until 1951. On May 13, 1952, 377 Commonwealth was purchased from Emerson College by David Sigurd Abrahamson and his wife, Virginia Mae (Marshall) Abrahamson. They previously had lived in Needham. He was a salesman with a silverware company and later a real estate broker. In July of 1952, he applied for approval to convert the property from a single-family residence into four apartments. He subsequently abandoned the permit, but based on the Lists of Residents, it appears that he nevertheless converted 377 Commonwealth into a multiple dwelling, either apartments or a lodging house. The Abrahamsons continued to live at 377 Commonwealth until about 1964. On February 17, 1964, 377 Commonwealth was acquired from the Abrahamsons by Garland Junior College. That same month, Garland Junior College filed for (and subsequently received) permission to convert 377 Commonwealth into a dormitory. On May 27, 1980, Glen Grant transferred 315, 319, 321, 337, 339, 341, 343, and 377 Commonwealth to Judith S. Schwartz, trustee of Seofon Trust (the deed was dated in May of 1980 but recorded in June of 1981). In May of 1981, Glen Grant filed for permission to legalize the occupancy of 377 Commonwealth as eight apartments, noting that “dormitory use was in name only as physical characteristic of building was and is eight apartments.” The permit was subsequently abandoned. 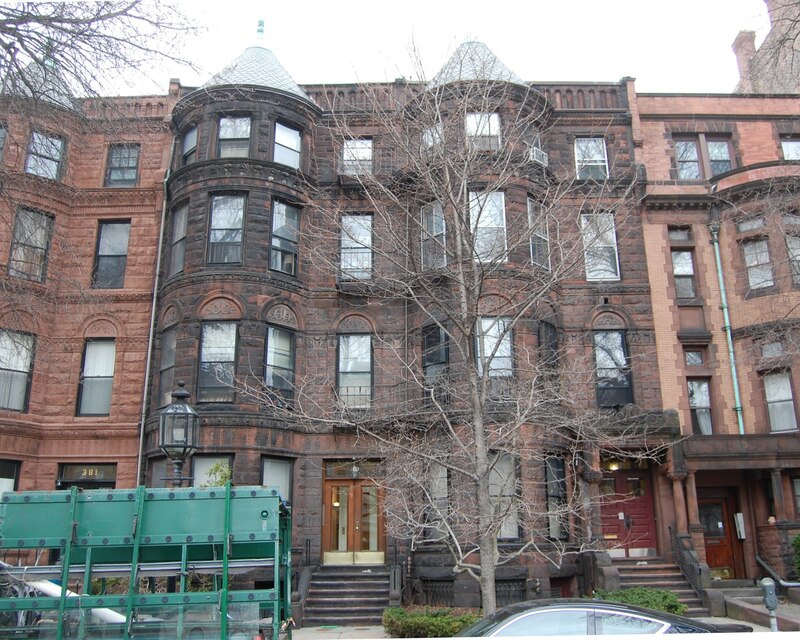 On June 5, 1981, Judith Schwartz converted the property into eight condominium units, the 377 Commonwealth Condominium. In December of 1981, all eight condominiums were purchased from Judith Schwartz by eight separate trusts established by real estate dealer Eugene William Friedrich: Unit 1, Unit 3, and Unit 5 with Karen A. Goldrich as trustee; Unit 2, Unit 4, and Unit 8 with Pamela D. Lapham as trustee; and Unit 6 and Unit 7 with Kendra W. Kaplan as trustee (Kendra Windsor Kaplan was Eugene Friedrich’s wife). 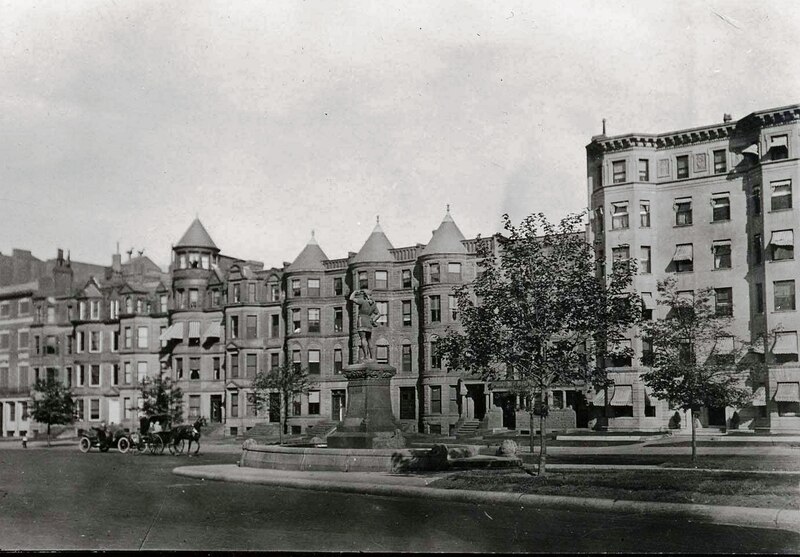 In February of 1985, the 377 Commonwealth Avenue Trust filed for (and subsequently received) permission to legalize the occupancy as eight apartments, finalizing the permit that had been sought and then abandoned in 1981.